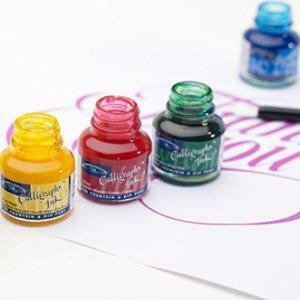 Blue Capped bottles contain thinner, more transparent inks with a satin finish. 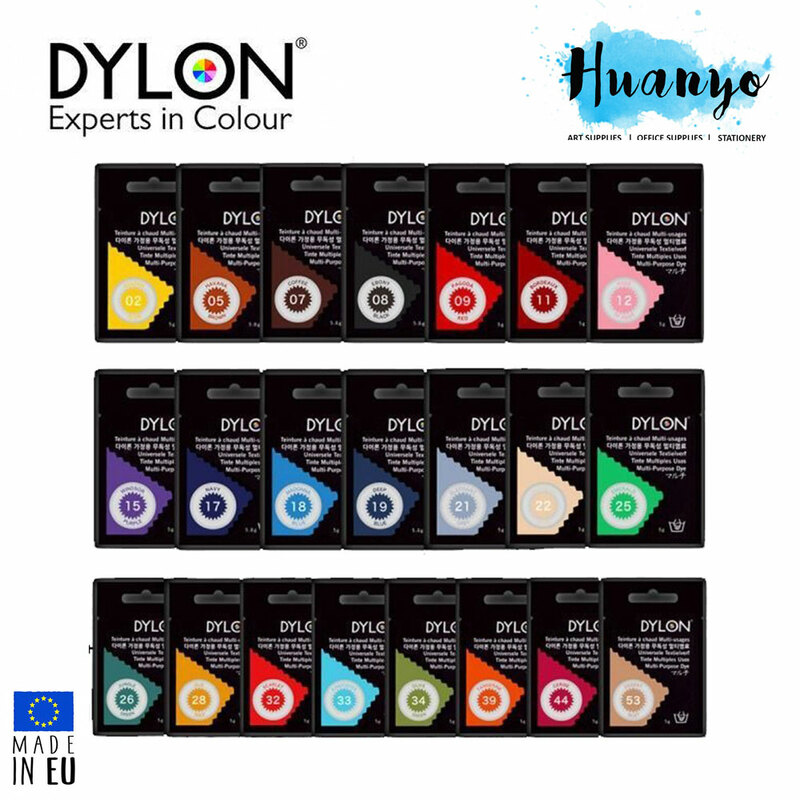 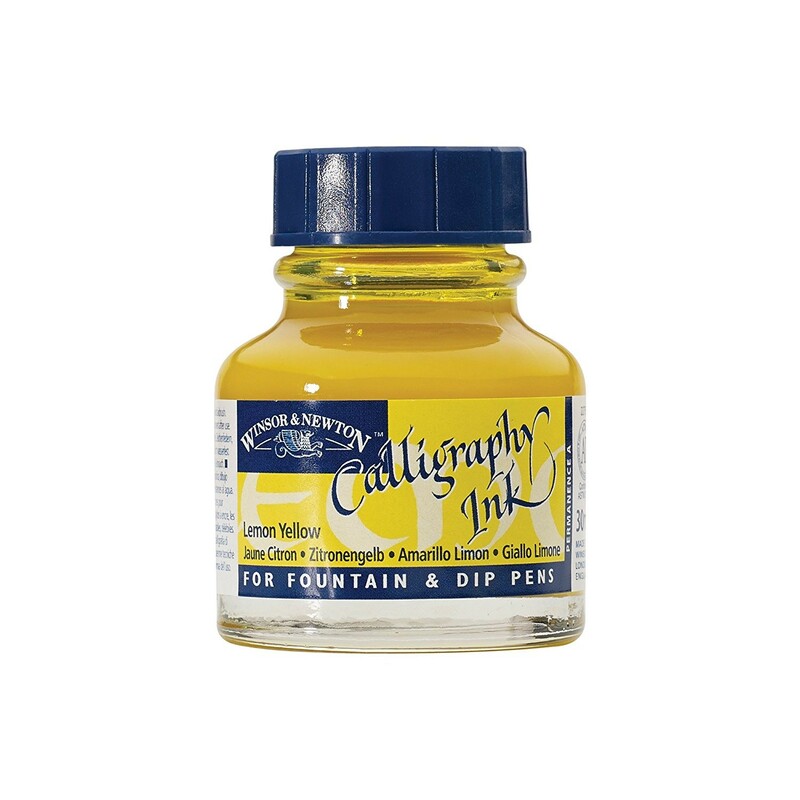 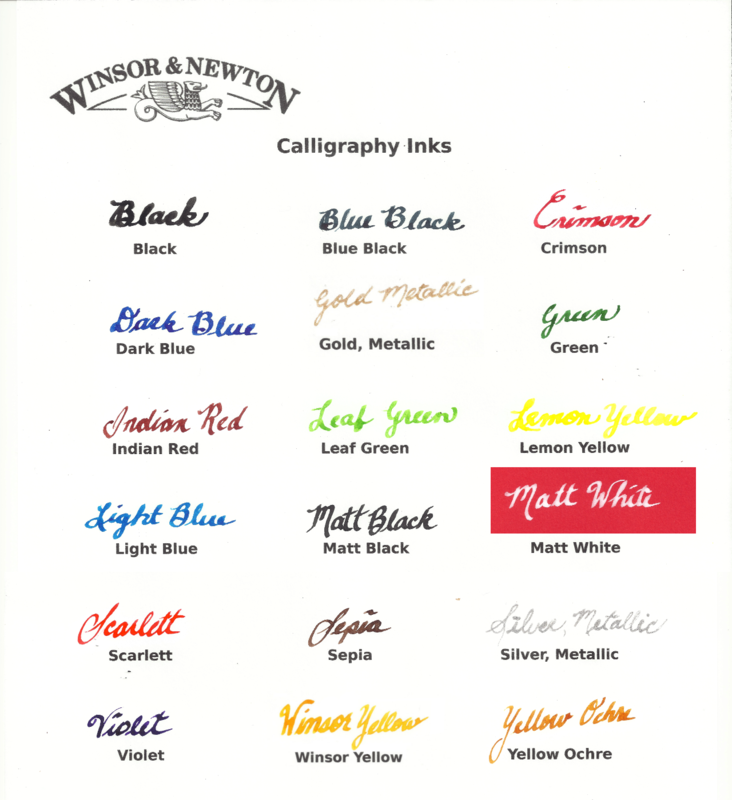 Winsor & Newton have used their expertise in the production of fine inks since the 1890s to create a wide range of colours which are brilliant and lightfast, allowing today's calligraphers to continue to create this important and flourishing art form. 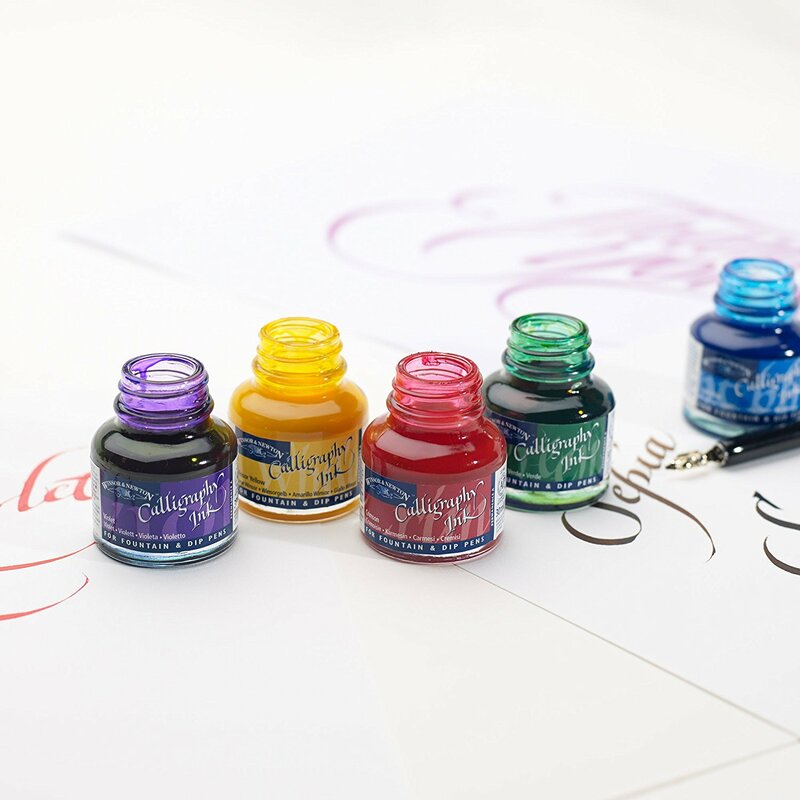 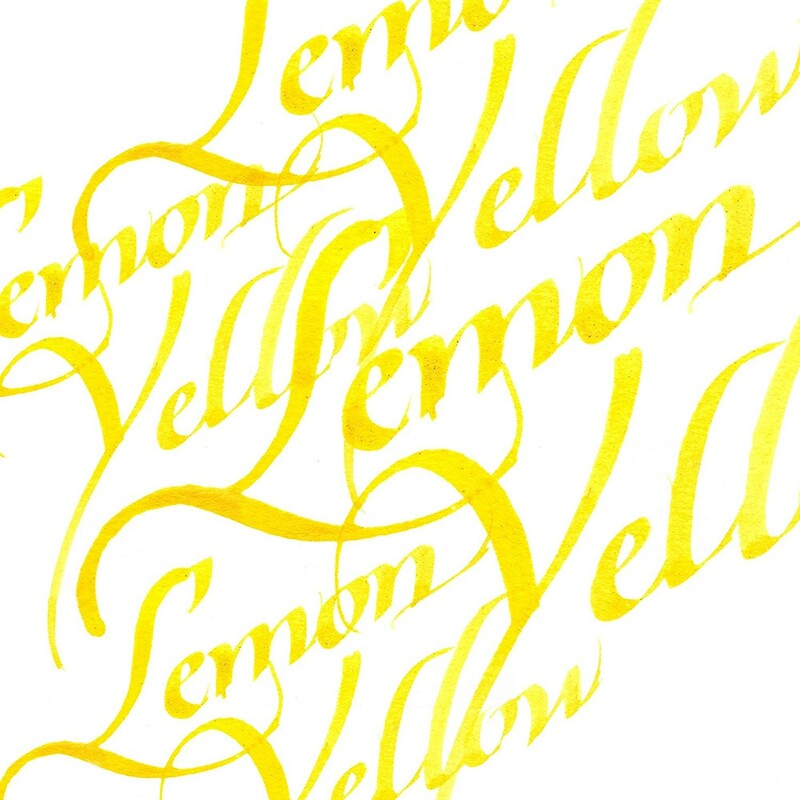 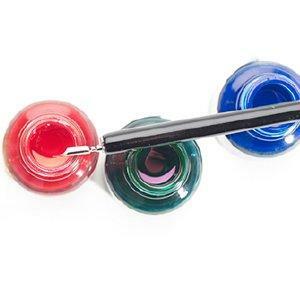 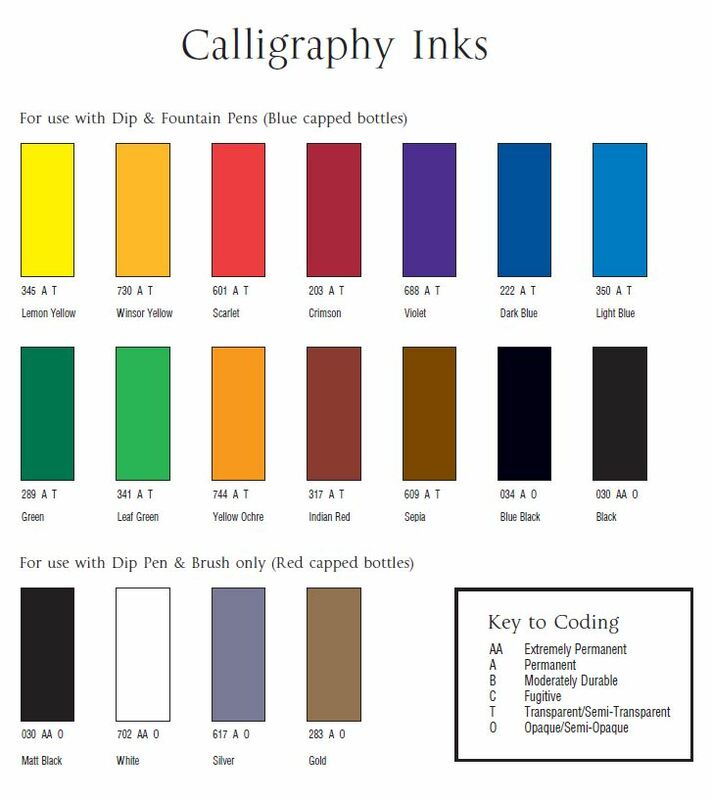 For practice work with Calligraphy Inks, layout paper is recommended. 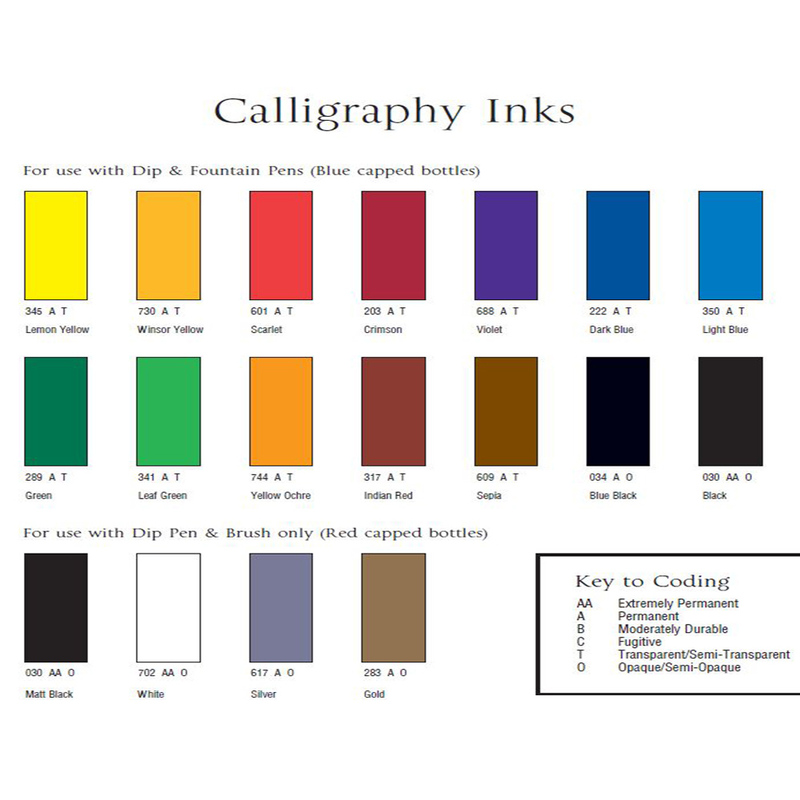 For finished pieces, any paper that will not feather, bleed, scratch or wrinkle is suitable. 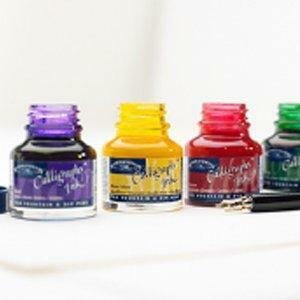 Smooth Cartridge paper or hot pressed water colour paper will allow a pen or brush to move evenly and smoothly over the surface with minimum breakage. 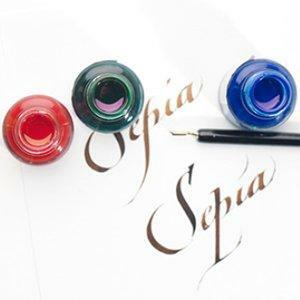 However, rough surface papers will also give a broken effect and ragged edge to the pen or brush stroke which may be desired by some Calligraphers.